Let me set the scene for you – I have a full-time job as a Director of Marketing at an emerging tech company, and I checked off dozens of once-in-a-lifetime bucket list items in just six months. I participated in a remote year, and I've lived to tell the tale. Here, I'll share my story of how I balanced managing a team across a 12-hour time difference, experiencing different cultures while still making deadlines, and 'coming back to reality' after it was all over. When asked to list off our hobbies, there is a good chance a majority of the people in the world would say “travel.” For me, however, travel isn't merely an interest but a dream, a desire, a need to see the world, experience new cultures, try new food, surf new waters, and meet new people. This desire led me to pursue a program that would ultimately allow me to continue working for my company full time and explore the world, one country at a time. This is what I call ideal multitasking. I didn’t have to put my career on hold or save thousands of dollars for this to happen. I had the opportunity to do both. At hc1, where I've worked for the past two years, our culture of freedom and accountability allows team members to go on these kinds of adventures. It’s not required to be at your desk to get your job done or be present in the office every day. It’s not even required to be in the same time zone – but what is required is your expertise, skills, positive attitude, team spirit and the ability to get your work done on time. From January 2018 through the end of May 2018, I spent each month hopping from country to country. Hemisphere to hemisphere, excursion to excursion, and time zone to time zone. I’ve taken conference calls at midnight in Cambodia and half asleep at 5 am in Australia. 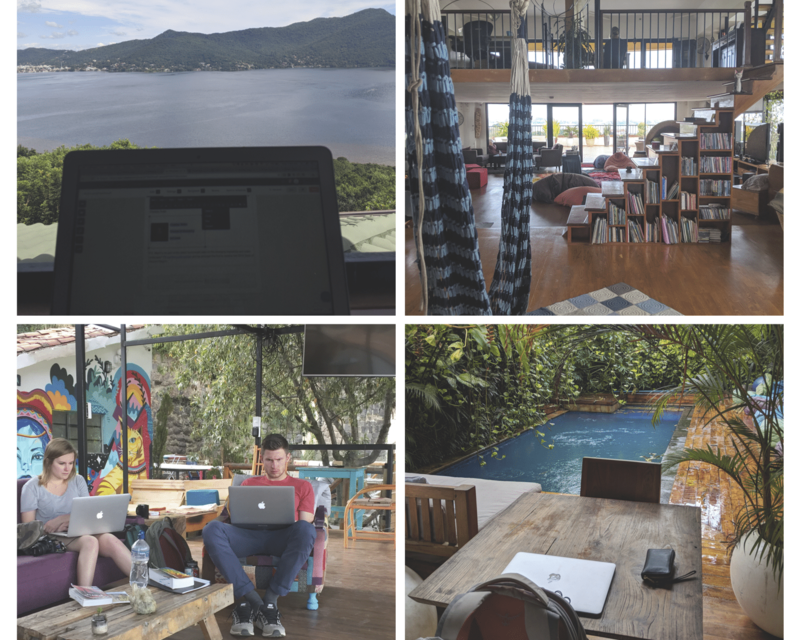 I’ve skyped with my employees from a hammock in Brazil and a coffee shop near Machu Picchu. 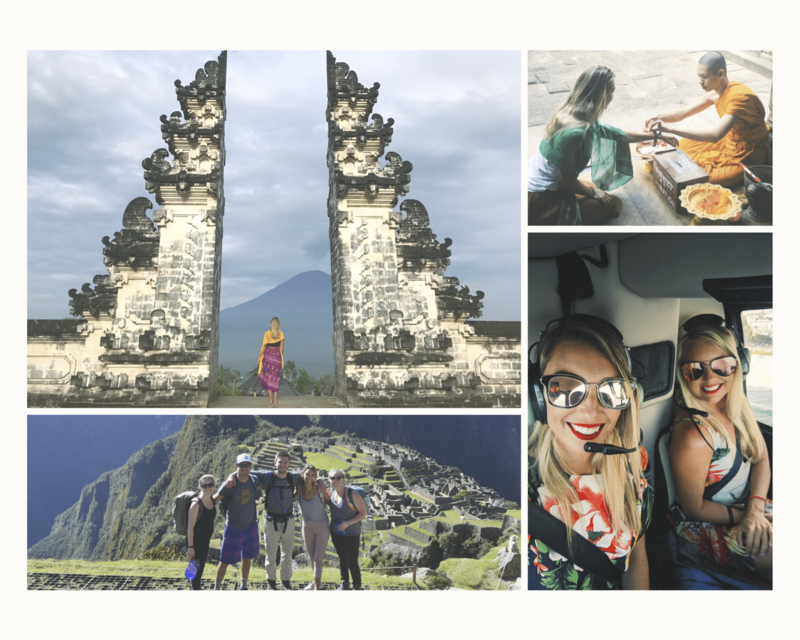 I was able to cross off some major bucket list items – around the world in 6 months! While the east coast was sleeping, I was spending my free time climbing the Gates of Heaven, running through rice fields towards an active volcano, being blessed by a monk at Angkor Wat, bathing baby elephants in Thailand, driving the Great Ocean road, snorkeling the Great Barrier Reef, taking helicopter tours of Rio De Janeiro, riding a gondola to Christ the Redeemer, sandboarding in Peru and hiking Machu Picchu. When we were 12+ hours apart, it felt as if hc1 never slept. My team would send me content to review and by the time I gave feedback they’d be awake and starting a new day. It was a constant continuum of projects. Never one of us roadblocking the other. It worked for us and still does as we continue to allow each other to go out and explore the world. Trust me – work is still work, even in exotic locations! It’s now July and I’m back in the office full time. Some ask if it’s hard to be back. I think it’s wonderful getting to work with everyone face to face again, but what really gets me through each day is knowing this isn’t over. My team and I all allow each other the chance to work remote both abroad and just from home for an afternoon. It’s what I call “living our best life.” I’m lucky to call hc1 home and blessed to have had the opportunity to follow my dreams all while working for a company with a great mission. If you’re looking for a new opportunity or just want to learn more about hc1’s commitment to flexibility, let’s chat! You can learn more about our open positions here and contact our Employee Branding Specialist here.